Henry and I had quite the feast this morning! My little sous chef has quite the palette and is a good helper in the kitchen. 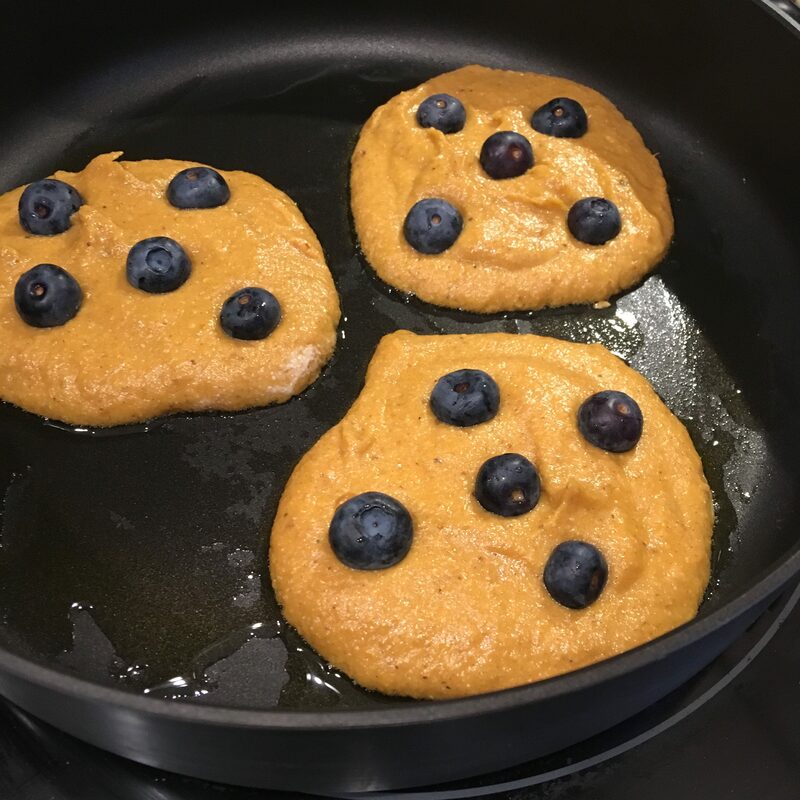 So, without further dawdling, and to heed to many requests…here is the recipe for my roasted sweet potato, banana and blueberry pancakes. In a food processor, puree all the ingredients. The mix will be quite thick. In a skillet over medium heat warm a tablespoon of olive oil. 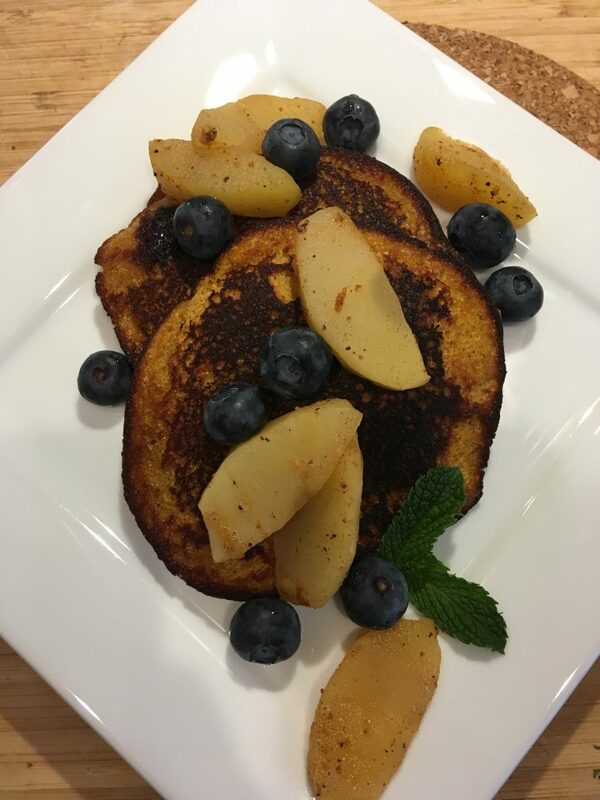 Spoon the pancake batter into small rounds, placing fresh blueberries into the batter. Cook until the edges start to look done and flip. Serves when golden brown. Top with poached fruit, maple syrup or a honey sweetened Greek Yogurt.